This excursion is the highlight of any St. Moritz / Engadin Valley vacation. 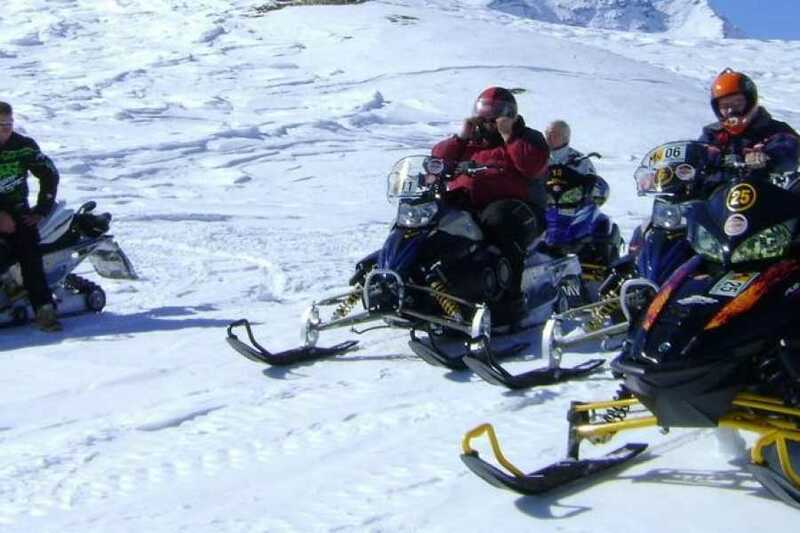 Enjoy the Snowmobiling combo Tour No 6 to Spluegenpass and Lago Nero. Scenic route from St. Moritz to Maloja, Chiavenna and Madesimo where our Snowmobile-Camp is located. Transfer time: 90 Minutes. After safety instructions you will embark on a ride up to the Spluegenpass. We will have a break before continuing the tour to Lago Nero. - all prices are based per person! Smaller groups are available upon request, ask for price.